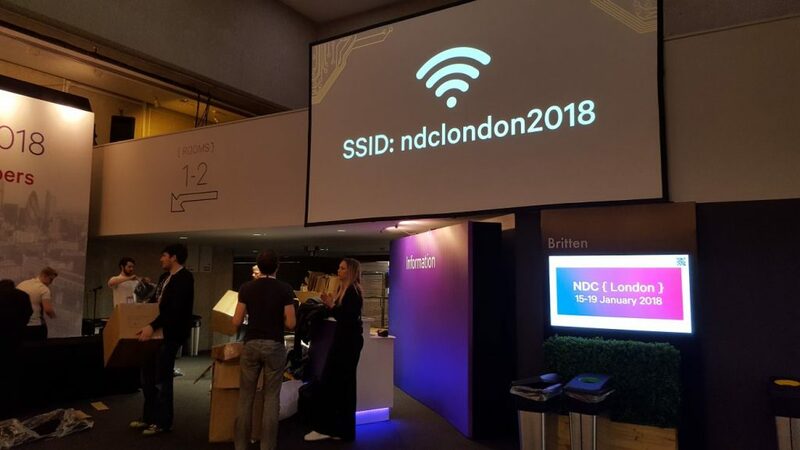 Eclipse recently worked with NDC London to design and build a creative ‘partner’ space for the exhibition, networking and catering areas of the 2018 edition of the software development conference. 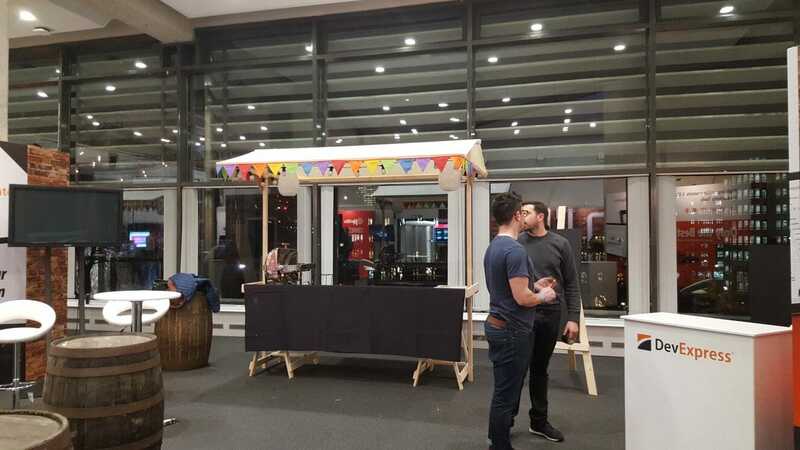 New client NDC was keen for us to give the dedicated space within the QEII Centre the look and feel of a traditional English pub garden and farmers’ market. The idea was to encourage delegates to remain on-site while networking or taking a break at the three-day event. 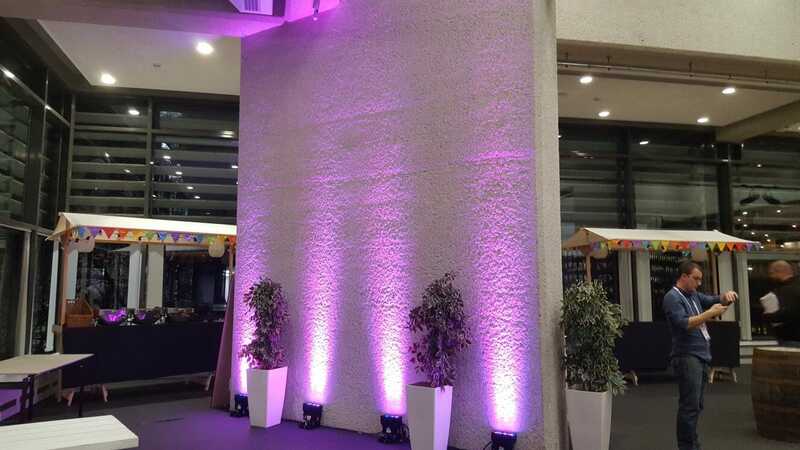 To give the area the desired look and feel, Eclipse’s scenic team built canvas wrap exhibition stands for partners incorporating brick walling, created bespoke wooden catering stands decked out with bunting for a farmers’ market feel and used props like wooden barrels, festoon lighting and potted plants to carry the theme through. Rustic picnic benches and oversized beanbags were used to add seating to space. A team of 10 Eclipse core members worked on the project with 10 local crew supporting them at the conference. An account manager was also assigned to the job to provide the client with their requested single point of contact to oversee the management of the project and ensure response times were kept to a minimum and a consistent approach to delivery was achieved. The resulting design has heralded a success. NDC London was pleased with the overall look and feel of the space and received positive feedback from partners and delegates.